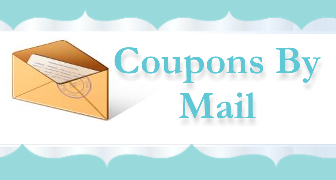 Looking for coupons from your FAVORITE brands? It is a simple as contacting them. As you may recall, one of my favorite series on Inspiring Savings “The Great Coupon Adventure”, Where I tracked down and sought out companies who mailed consumer coupons. The list below has been compiled from that series. I found that the best way to contact her favorite companies was by phone. At first I started off with LOTS of e-mails and received not one reply back! We will continue to UPDATE this list as we find companies who provided mailed coupons. Please keep in mind, not all companies provide this benefit. Coupon availability and specific offers can vary based on each company’s supply. Make a list of your favorite products, check the labels for contact numbers (usually a 1-800 or 1-888 number) or a website – websites generally provide e-mail addresses. When contacting companies always be polite, it is important to share with them why you love their products, and which products you enjoy. I have also found that if you call a company to tell them how much you like their product, and I only do this when I REALLY DO love a product they will thank you by giving you coupons. I decided to call when I like a product because I will call when I am disappointed with a product. In that instance they will give you a coupon to try again… sometimes you luck out and the next container/bag is better. Sometimes it is just a poor product overall. Companies rarely hear good things, so they appreciate it and we get a bonus too.